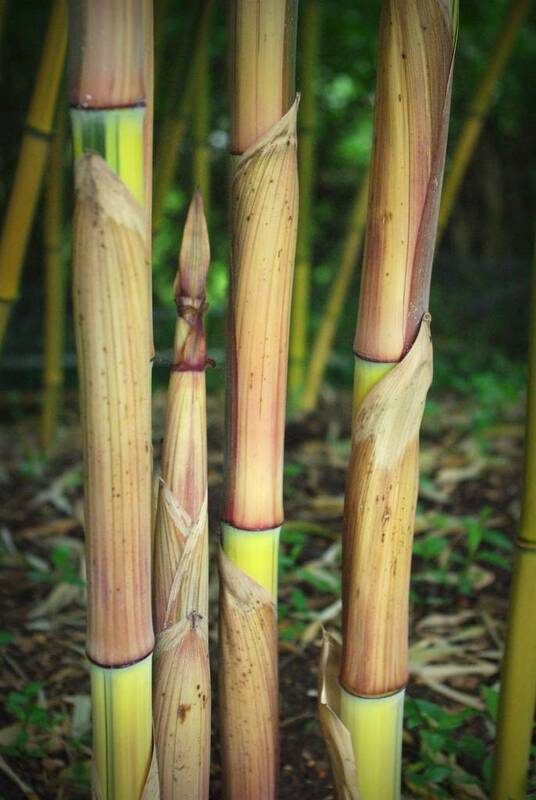 Most of the bamboos are shooting now, and I've certainly posted photos of the beautiful shoots in the past. Today though, just a quick look at a single species, and how well it's doing for me. 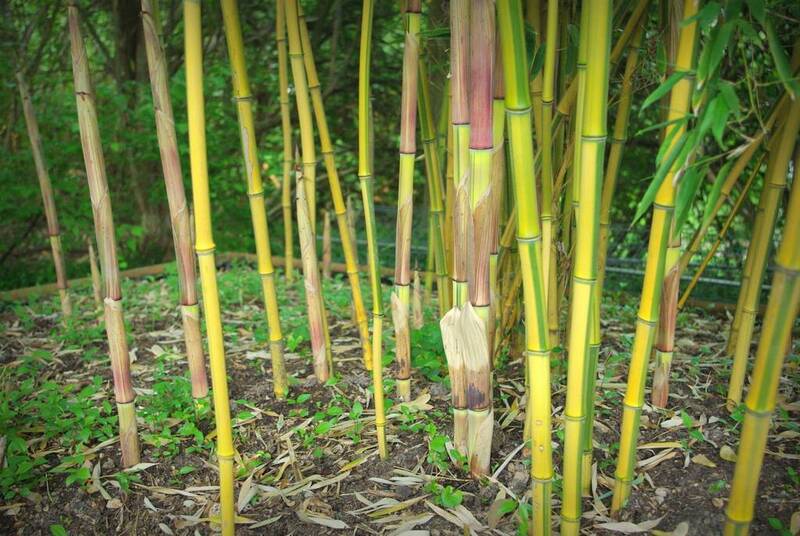 It's Phyllostachys aureosulcata 'Spectabilis', and it definitely is spectacular! I've only had it in my garden since 2008, but the plant I got from Needmore Bamboo was a good one, as this has quickly matured. It only produced a couple thinner shoots that first year, then quickly started putting out the thick ones. 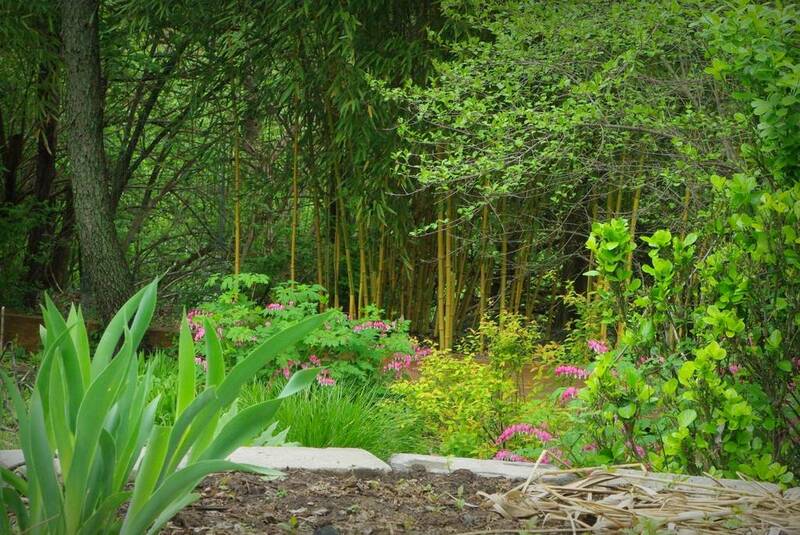 I gave this one the most space of all of my bamboo plantings, and I'm glad I did! 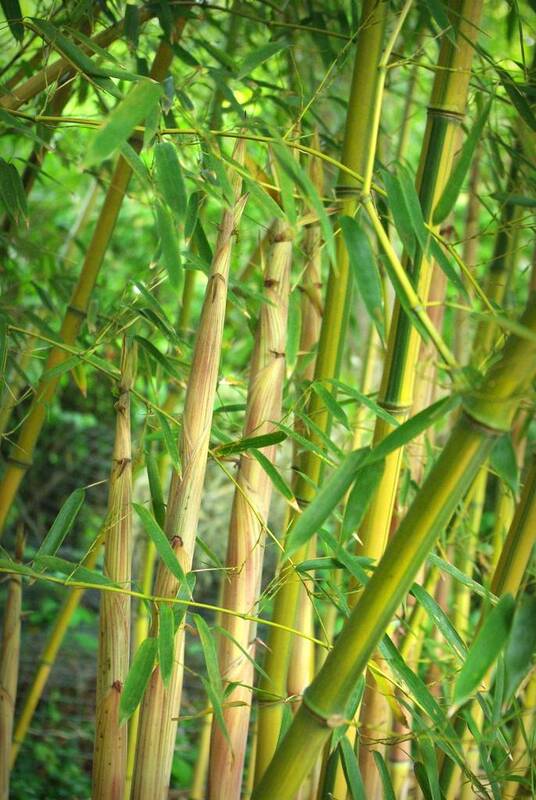 If you're seen bamboo growing in the St. Louis area it's most likely "Yellow Groove" bamboo, with green culms that have a yellow stripe in the groove ("sulcus"). 'Spectabilis' is the same species, but a different form -- a different variety. It has yellow culms with green in the sulcus, and other green stripes. It's almost as cold-hardy as Yellow Groove, but has a bit more impact. Lots more color, especially when shooting and the culm sheaths first fall away. 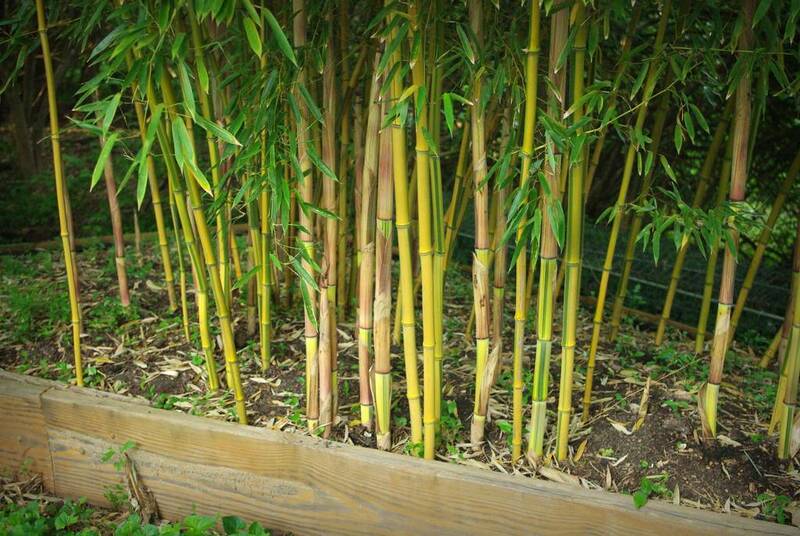 This is a great bamboo! beautiful! it has inspired me to go and give my own young clump a feed to speed it on its way! The small division you sent me a couple of years ago has grown tremendously. This year's culms are 7 ft tall! 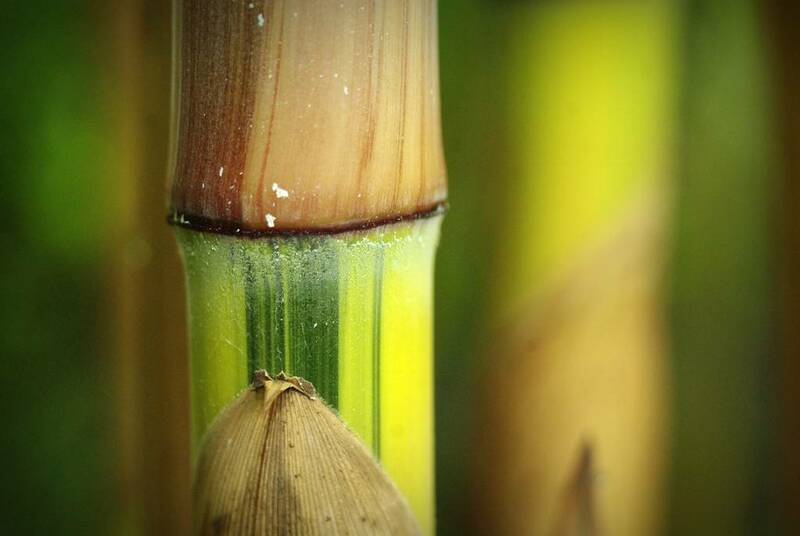 Those new culms are stunning! Last year mine had a major upsize, getting to 5/8" culms by almost 9ft, but this year, it's choosing to increase its numbers, so I might end up with a 10ft+ grove with the biggest culms up to 2/3 inch. Oh wow! This so great to see - that 4 years ago you planted this!! It looks amazing! 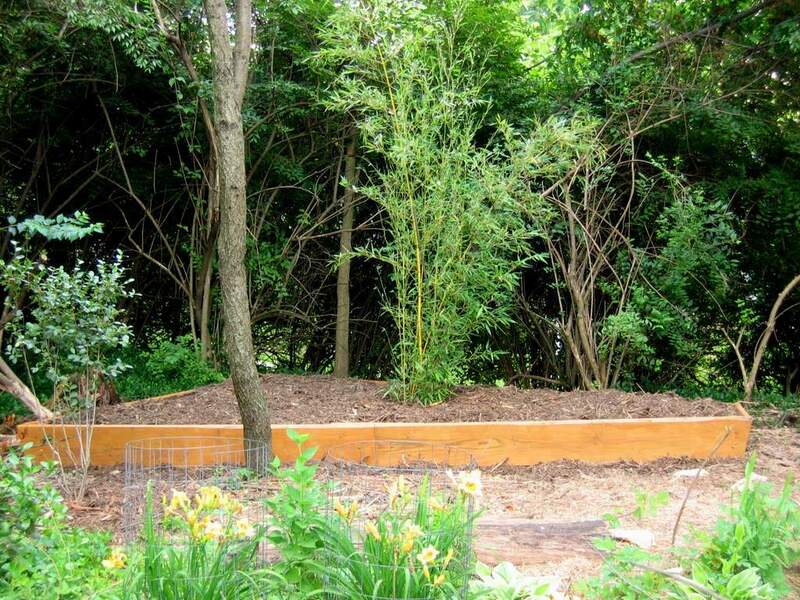 What a beautiful bamboo. Very impressive and you must be chuffed with it!